Adler Eliacin is the Chairman of the Haitian American Chamber of Commerce of Massachusetts, with the responsibility to support the growth of Haitian-American and Diaspora’s small businesses in the Commonwealth. Adler has over 18 years of experience championing Small Business and Young Professionals leaders throughout Massachusetts. Adler has served in many capacities to advance economic opportunities across the Commonwealth. In the private sector Adler is the Head of Supplier Diversity at State Street Corporation. Adler is a key leader at State Street that oversee the firm strategies to achieve our supply diversity objective of creating business opportunities for minority-owned, women owned, veteran owned, LGBT-owned service disabled veteran owned businesses. State Street is the second oldest financial institution in the United States with $33 trillion (USD) under custody and administration, which represents 11% of the world’s total financial assets. 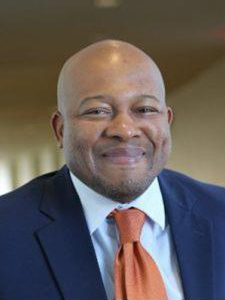 Previously, Adler was the Director of Corporate Diversity Relationship, Technology and Innovation, at the Urban League of Eastern Massachusetts (ULEM) where he was responsible for all technology and innovation for the Urban League. Before the Urban League, Adler was a Senior Supplier Diversity & Development Manager at Massachusetts Bay Transportation Authority (MBTA) Where he was responsible for building DOT/MBTA’s Innovative Supplier Diversity and Development programs and initiatives that promote awareness, opportunity, and increase participation of DBE, minority and women-owned firms. Prior to the MBTA, Adler was a Senior Business Developer at Verizon Business. There, he developed emerging business initiatives through a wide range of national partnerships, helping to create new opportunities for Verizon and provided subject matter expertise on the topics of Professional Services, Hosting, Customer Premises Equipment (CPE) Solutions and Contact Centers. Under his leadership, he oversaw unprecedented levels of growth in the booming finance and healthcare information technology sector. Adler has held senior development and IT positions at iBasis – a Cisco company, AMICAS, and BBN – where he began his career at the prestigious BBN Technologies in Cambridge, MA. During his tenure at iBasis, Mr. Eliacin successfully transitioned from IT to International Project Management by building on his relationships to clients o a global scale – where he oversaw Voice over IP (VoIP) implementation in over 14 countries including China, Philippines, India, Sri Lanka, Germany, Greece, Mexico and Brazil. In addition, Adler currently serves as an Advisory Board Member at National Alliance for the Advancement of Haitian Professionals (NAAHP), a member of Tufts University Diversity and Inclusion Leadership Program Advisory Board, a member of the Greater Boston Chamber of Commerce Chamber Leadership Alumni Council and a Board of Director for the Irish International Immigrant Center (IIIC). Past roles have been, but not limited to the Treasurer and Financial chair of the National Association for the Advancement of Colored People (NAACP) Boston Branch, a member of the Greater New England Minority Supplier Development Council (GNEMSDC) and a member of the Young Executive Development Program (YEDP) by the American Road and Transportation Builders Association (ARTBA). Adler is a graduate of Northeastern University and the Harvard Business School Executive Leadership Program.